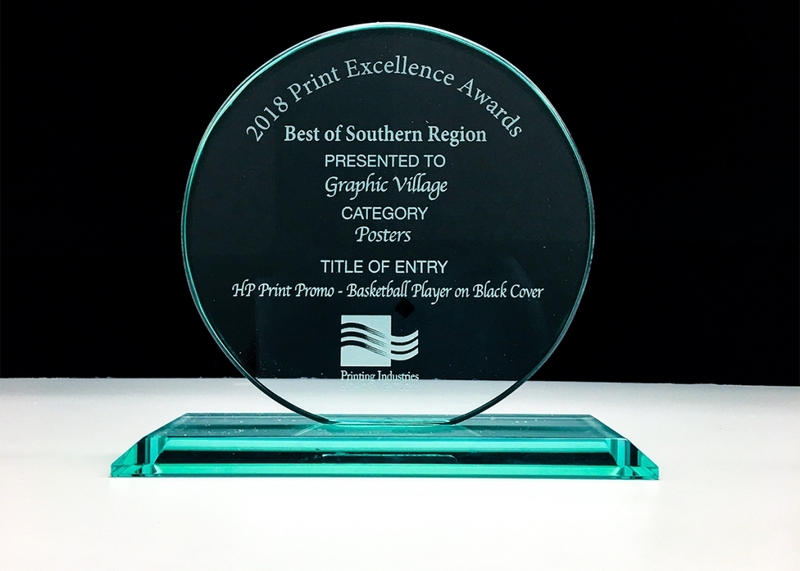 PIANKO, the Print Industries of Ohio and Northern Kentucky, recently awarded Graphic Village with Best In Show for Division III and two Best In Category awards for the Basketball Player poster. 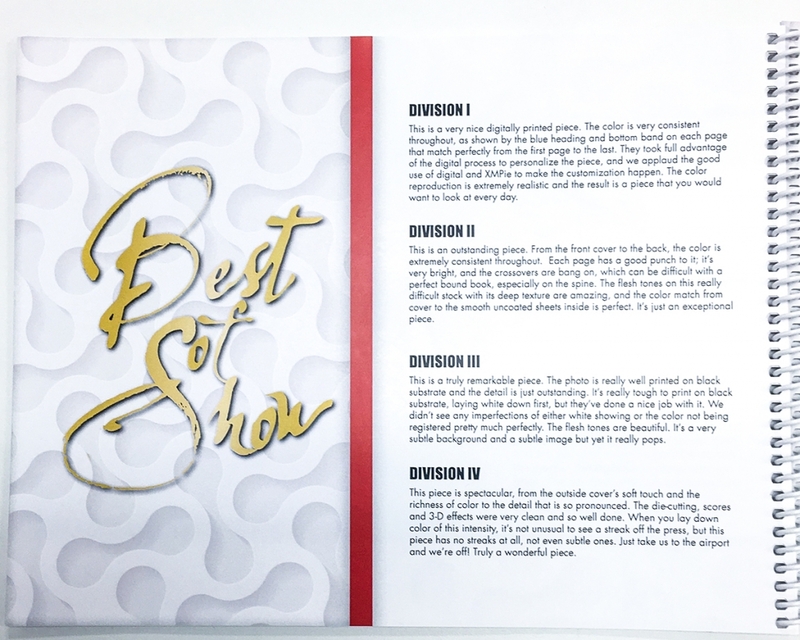 In the accompanying booklet, the judges describe the work as “a truly remarkable piece.” It is “really well printed on black substrate and the detail is just outstanding… We didn’t see any imperfections of either white showing or the color not being registered pretty much perfectly.” A photograph of the booklet with the complete description can be found below. 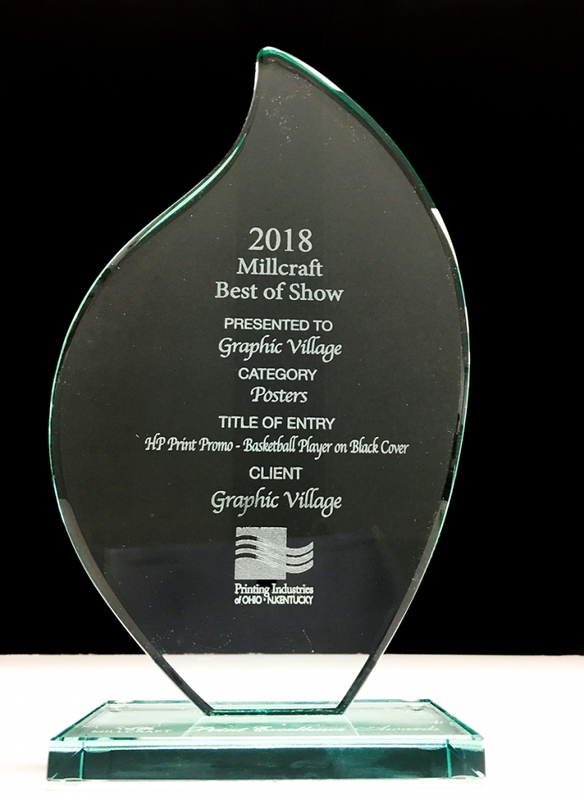 Trish Witowski, the Folding Lady of Fold Factory reviews the printed piece in the following video. 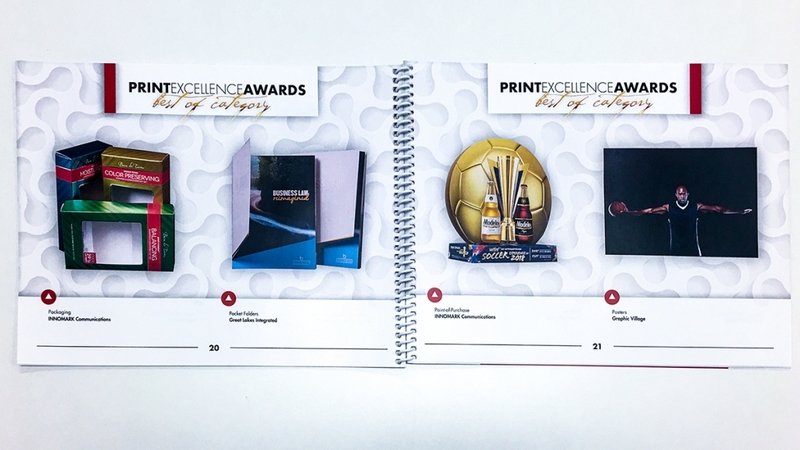 Our team is proud to be recognized through the Print Excellence Awards Competition. 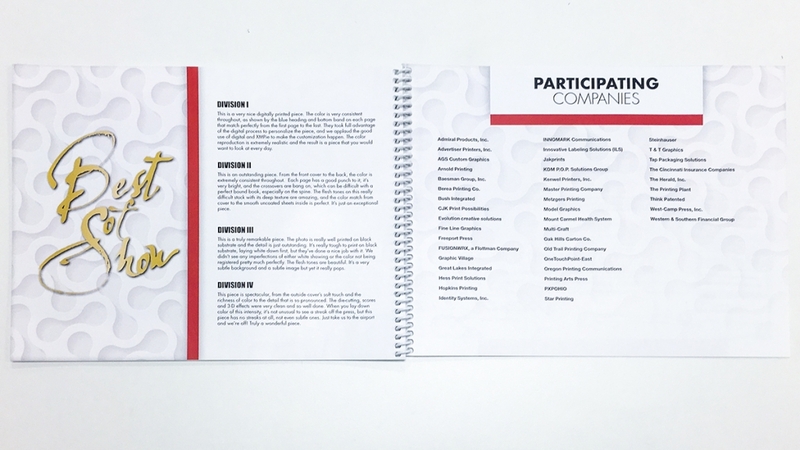 Our mission is to serve our clients by spending each day reimagining what is possible in the world of print marketing so they can retain their competitive edge and sell more of their products and services. 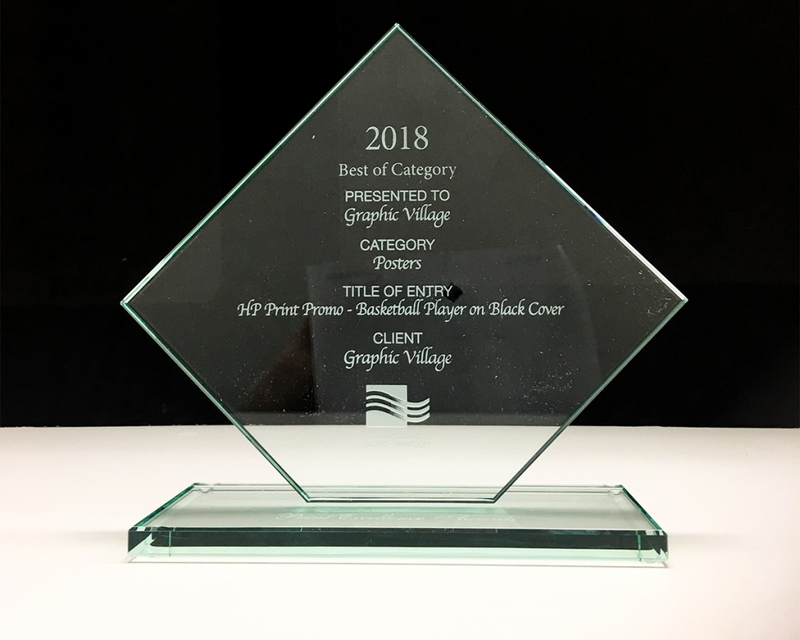 It’s wonderful to be recognized by your peers and we appreciate the honor.